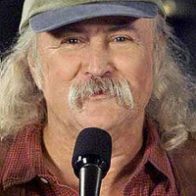 David Crosby, American singer, songwriter, and guitarist, is making his debut as a keynote speaker to talk about music’s effect on our world. As a counter-culture icon, his music with The Byrds and Crosby, Stills, and Nash has lead generations through uncertain times and earned him two inductions into the Rock & Roll Hall of Fame. After working with artists like Bob Dylan, Neil Young, and Phil Collins, Crosby has five albums that are recognized by Rolling Stone in their 500 Greatest Albums of All Times listing. After the first CS&N album was released in 1969, the band won the Grammy Award for Best New Artist. Crosby and Nash also produced three gold albums in the ‘70s and CS&N remained active until 2016. Crosby is not slowing down either. In five years, he has released four albums, starting with Croz in 2014, followed by Lighthouse in 2016, and Sky Trails in 2017. His newest album, Here If You Listen, is a collaborative project and will be released on October 26, 2018. Crosby is an emblem for the 1960’s counterculture movement and has always been an outspoken political activist. He has used his fame to speak out against U.S. involvement in the Vietnam War, the reports from the Warren Commission’s investigation of JFK’s assassination, harsh sentencing for recreational cannabis, and most recently the social stances of the Trump administration. After successful events at both Harvard and Syracuse, where he spoke to the general public and then went on to lecture for classes about 1960’s rock and roll, Crosby is focusing on spreading his knowledge and stories to America’s budding youth. Jessica Welch is the Content Marketing Associate at BigSpeak Speakers Bureau, holding a Bachelor’s Degree in English Literature and Anthropology from California Polytechnic State University, San Luis Obispo. Her business thought articles often appear on Business 2 Community, Born 2 Invest, and YF Entrepreneurs.